The only record color that doesn't make any sense is that a Blank Disk with pink = Far, because there were no more green dyes left, haha. There are pictures above that you can go and check out the recipes also. Feel free to leave any suggestions down below. Also, make sure to donate. I spend a lot of time on these mods. Plus No errors on this mod. AWESOME!!!! Nice mod, but I have 1 Question, What is the Blank Disk for? GOD YOU GUYS... im reporting you wefightcreepers for all you know this kid DOES have a brain disorder and you just offended him or made him sad enough to kill himself. these things happen you know think about how you act/say. woooow, look further down the comments, I was joking, besides, it's Planet Minecraft, where a sense of humor is kinda required. 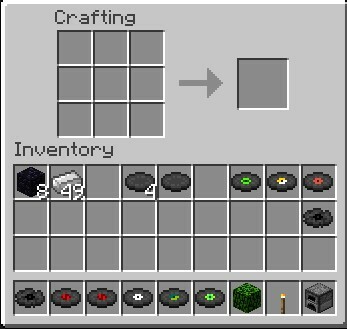 The way you craft the disks? lolol. Watch the video. You mix the blank disk with a dye and it makes the actual record itself. cant download please tell me how because i keep getting a black screen. Did you install ModLoader, and delete Meta-inf? Are you using any mods with it? yes im using too many items,moar tools mod by tylerb,craftable spawners by mighty pork,the armor stand,audiomod,and the optifine mod. Music disks are supposed to be rewards for awesome kills, not easily crafted crap! To make it harder to make disks, here's a different recipe. If you don't like the mod that I made, don't use it. Period. I don't, I was just saying there is room for improvement. Besides, it isn't that easily crafted. 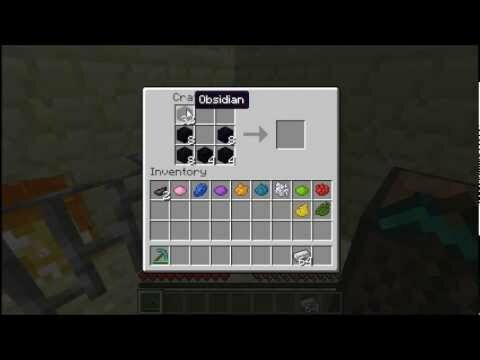 That's true, but some people have tons of obsidian so it's easy that way. well some people might have tons of diamonds. It's all subjective. Obsidian is easier to obtain. You need 3 diamonds then you can have any disc. my way, it's harder so you need at least 4 diamonds for 1 disc. I say too hard. Music disks don't give you any game advantage anyway, they are just for fun so I don't see any point in making them as hard to obtain as possible. Obsidian is just hard enough to make them stay valuable. Fun, but they're hard to get for a reason. I like it how it is, bro. Like I said, it was my first mod. But I worked pretty hard on it. I thought of a way that I wanted to do it, and I did it. I'm not going to change it because 1 person said so. Sorry. I agree that you shouldn't change it because 1 person out of over 7 billion says he doesn't really like it, just there's still room for improvement. 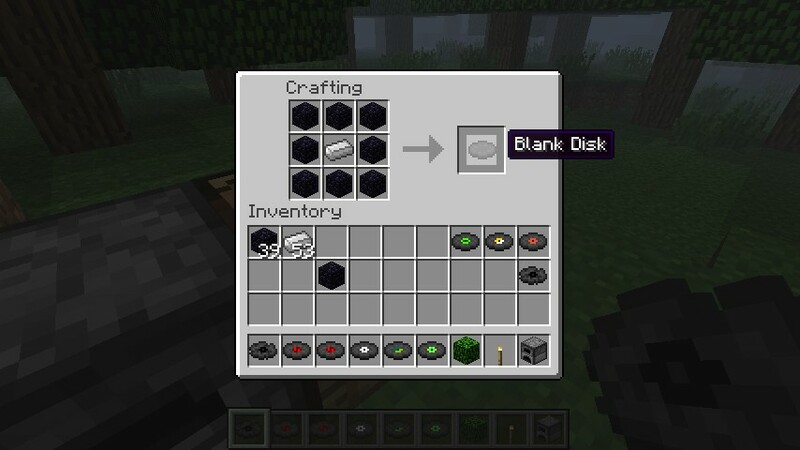 No offense but that seems like a stupid idea for a whole new crafting table but i like the idea to have it be more harder, maybe one rare drop could be a blank disc for any hostile mob and then you make the records because you still have to kill stuff so it would still be hard. That's a good idea. Maybe have the disks drop from other mobs too. Nice suggestion. Thanks, it could be out of like 30/100 chance, 20/100 is blank, and the other 10/100 is an actual disc. Yeah, but if you had a blank disk drop, what's the point of the mod? Then it'll be even harder to get the disk than before the mod. Idk. I wouldn't mind making it a diamond in the middle instead of an iron though. It is really simple to get it right now. But you already need a diamond pick to get the Obsidion and stuff, no it's not really THAT easy. For the crippled disk, you should have a bucket of water on 1 of any disk or 8 blank disks around the bucket of water. Oh, and yes I meant 11.
how did you learnd to make mods? 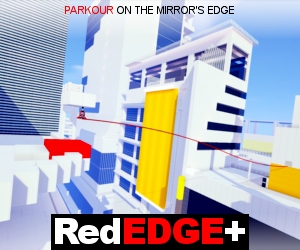 Unfortunately 1.2.4 just came out. Thanks! And I'll update the mod as soon as Modloader and MCP comes out.